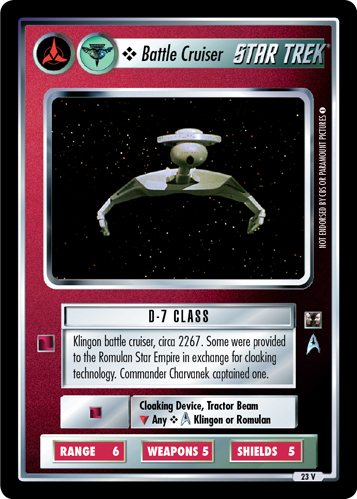 Klingon battle cruiser, circa 2267. 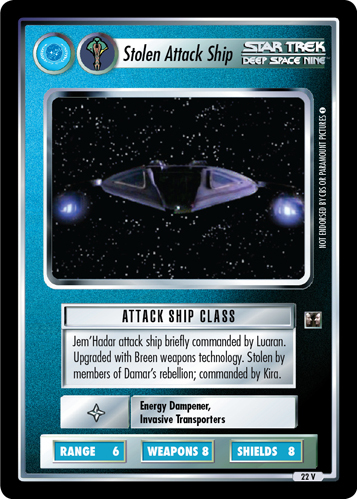 Some were provided to the Romulan Star Empire in exchange for cloaking technology. Commander Charvanek captained one.